The first thing you notice walking into Firecracker Press is the smell — rubber ink and thick paper, wood and more ink. It’s a scent best described as oddly familiar, even if it’s your first encounter with the traditional design-to-press operation at Firecracker Press on west Cherokee Street in St. Louis City. I’d like to think it’s the smell of handmade art rising up from our over-digitized, non-tangible lifestyles. But however you describe it, you can tell something wonderful is being made here. 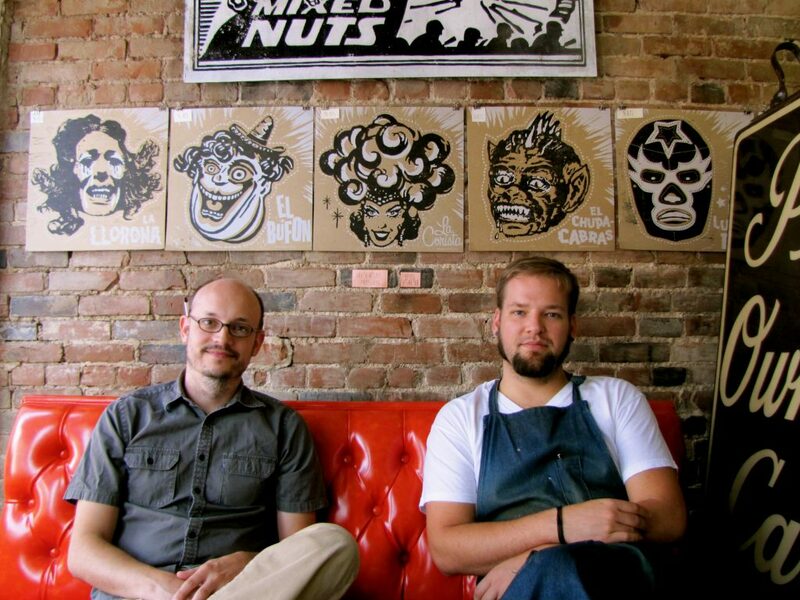 Firecracker owners Eric Woods and Matty Kleinberg rely on traditional letter-press style printing, where most of their designs are created using wood cuts, hard set-types and restored letter-press machines that are years older than their new owners. The overall effect is the Firecracker-signature feel: a little hip, a little timeless, and a lot of heart and soul. 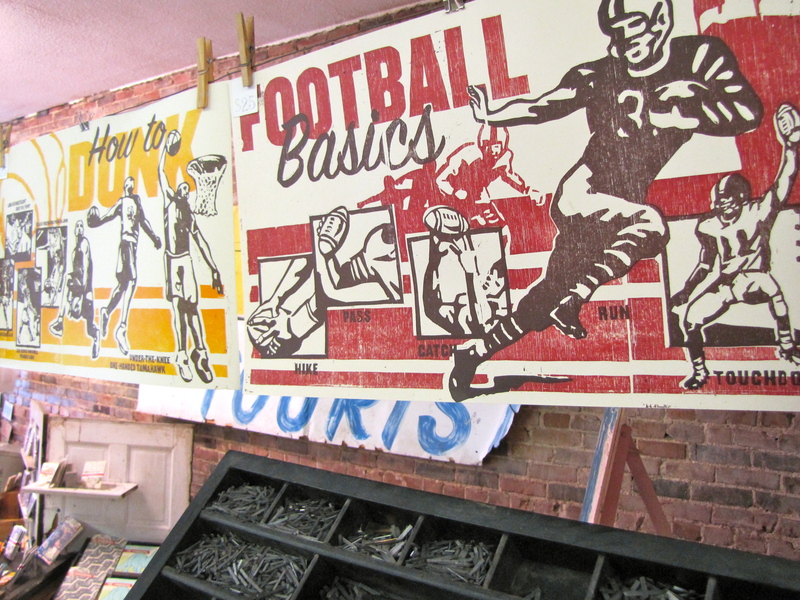 So how did a letter-press shop come to design an Art Bus for the Herbert Hoover Boys and Girls Club of St. Louis? Metro’s Art Bus program calls for local artists and graphic designers to submit a proposal to create a design for a sponsoring organization — in this case, the Herbert Hoover Club. Arts in Transit (AIT), Metro’s public-arts program, solicits local artists, reviews submissions, and creates a roster of artists who local organizations can work with to design and create bus art. Organizations pay a fee for the bus advertising, a majority of which goes to the artist while the rest supplies materials for a group effort to paint the bus. Artists set up a “paint-by-number” design on the bus that makes group participation simpler and easier. This month, the Herbert Hoover Boys and Girl Club worked with Firecracker, which created a design on one of of their restored letter presses. Firecracker designs tend to have a signature feel to them with large print and iconic images. Woods said they do posters, wedding invitations, books, coasters, calendars, and gift items. They keep their retail shop open during all business hours to sell cards, posters, coasters, buttons, and everything stationery. 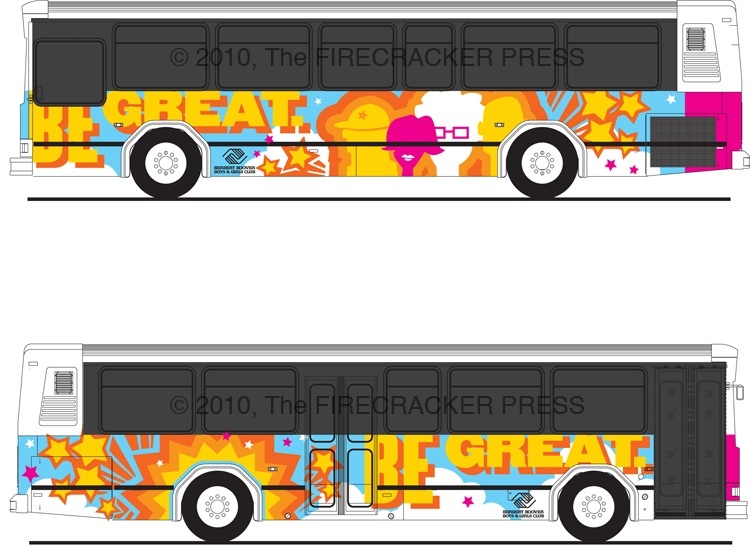 For the Herbert Hoover bus, Firecracker was asked to incorporate Hoover’s slogan, “Be Great,” but to leave a lot of ambiguity in the design. Instead of focusing on the organization’s sports or after-school programs, Firecracker created a less predictable design that inspired and spoke to many people. Woods explained that they wanted to do something very colorful and eye-catching that served as a “vessel of inspiration” for not just the kids involved in the program, but also for everyone who saw the bus rolling down the street. The design uses bright colors and images that seem to explode. “Pink was the most popular color to paint amongst the kids,” said Woods. “It was finished first.” The Firecracker designers said that they had a wonderful time working with the kids from Herbert Hoover and finished the bus painting well ahead of schedule. Woods also mentioned they are excited about the return of bus service to west Cherokee Street on August 30. The #73 Carondelet will soon roll past their shop as part of Metro’s Service Restoration changes across the region. So, if you see a bus painted orange, yellow and pink with its bold, exciting designs rolling around town, you will know that it’s the work of a unique and neighborhood-minded press shop in Benton Park West. If you haven’t paid a visit to their shop, we highly recommend stopping in and appreciating the scents and craft of their work. Visit Firecracker Press, 2838 Cherokee Street at www.firecrackerpress.com. Okay, how do I get involved with this? And how do I sign up for the AIT and the Metro Art Bus program? I want to join! Well, the art bus events are put on by the organizations that sponsor the bus. The other AIT programs – like Poetry in Motion – have open calls to participate. You can always keep an eye on the Arts in Transit website for any announcements about upcoming programs.